The Spill claimed Addison’s parents and scarred her little sister, Lexa, who hasn’t spoken since. Addison provides for her sister by photographing the Zone’s twisted attractions on illicit midnight rides. Art collectors pay top dollar for these bizarre images, but getting close enough for the perfect shot can mean death―or worse. When an eccentric collector makes a million-dollar offer, Addison breaks her own hard-learned rules of survival and ventures farther than she has ever dared. Within the Spill Zone, Hell awaits―and it seems to be calling Addison’s name. 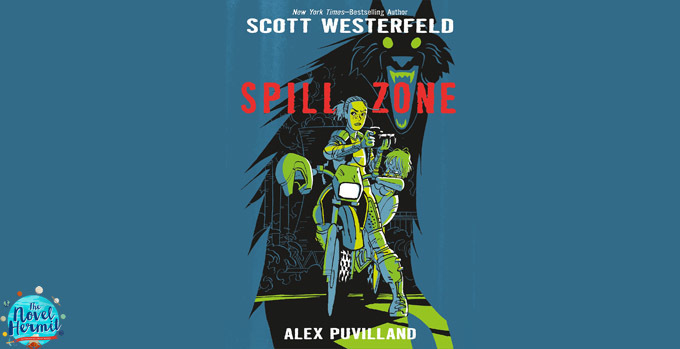 Nobody knows what the Spill Zone in Poughkeepsie is. All everybody knows is that you shouldn’t go into there. There are bizarre and dangerous creatures who prowl the streets, dead meat puppets with yellow all-seeing eyes, and things that nobody could’ve imagined happening actually happening. 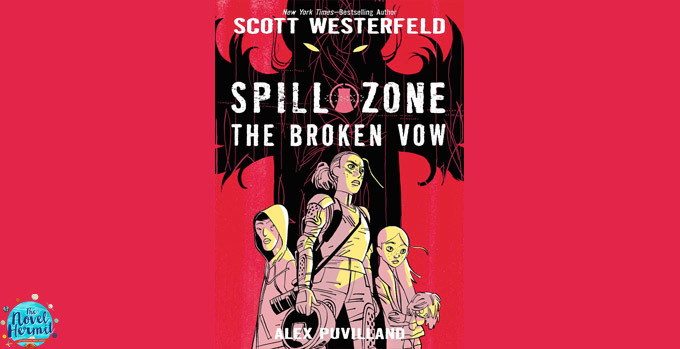 There are talks of the spill being caused by a nanotech accident spilling into a nuclear power plant or something alien-like that came from another planet, but nobody knows for sure. What destroyed this city of Poughkeepsie? Whatever happened, Addison’s not gonna stick around to find out. Or maybe she will…for a price. Darcy Patel has put college and everything else on hold to publish her teen novel, Afterworlds. Arriving in New York with no apartment or friends she wonders whether she’s made the right decision until she falls in with a crowd of other seasoned and fledgling writers who take her under their wings… Told in alternating chapters is Darcy’s novel, a suspenseful thriller about Lizzie, a teen who slips into the ‘Afterworld’ to survive a terrorist attack. But the Afterworld is a place between the living and the dead and as Lizzie drifts between our world and that of the Afterworld, she discovers that many unsolved – and terrifying – stories need to be reconciled. And when a new threat resurfaces, Lizzie learns her special gifts may not be enough to protect those she loves and cares about most. A book within a book? Loveeeee it. I’m pretty pumped about this especially after I’ve heard that Afterworlds is basically two books in one, and that it’s partially inspired by National Novel Writing Month. It’s probably a book that will either be a hit or a miss depending on how the stories are presented, but I’m excited!